John "Jack" Anderson, 86, Fargo, ND, formerly Wahpeton, ND, passed away Friday, October 11, 2013 at the VA Medical Center, Fargo. The Funeral Mass will be Wednesday, at 10:30 a.m., at St. John's Catholic Church, Wahpeton. Visitation will be Tuesday, at Vertin-Munson Funeral Home, Wahpeton, from 5 PM to 7 PM with a 7 PM Prayer Vigil, also visitation will be one hour before the service at the church with a Knights of Columbus rosary said at 9:30 AM on Wednesday. Interment will be at Calvary Cemetery, Wahpeton. Jack was born November 17, 1926, at Wahpeton, ND, the son of Elmer A. and Anna E. (McInnis) Anderson. He attended schools in Wahpeton, graduating from Wahpeton High School in 1944. He served in the US Navy from 1944 to 1946 where he served on the USS California and USS Cleveland in Okinawa and the Philippines. After his honorable discharge he returned to the area where he married Mary Ann Althoff on May 1, 1950 at St. Phillips Catholic Church, Hankinson, ND. The couple lived in Wahpeton where they raised their family. 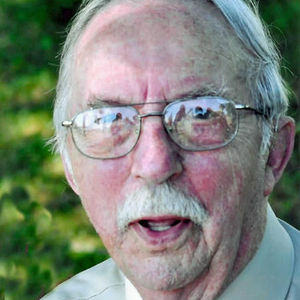 Jack worked at Lillegards Chevrolet for several years and for 22 years at Globe Gazette in Wahpeton before working for 3 M in Wahpeton, where he retired from. Jack and Mary Ann spent 14 years wintering in Arizona and spent their summers at the lakes. They moved to Fargo in June of 2009 to be closer to their children. Jack was a member of St. John's Catholic Church, Knights of Columbus and American Legion. He loved working on cars, woodworking, fishing, and hunting. He was a good husband and father; he especially enjoyed family get-togethers and the "Anderson's Christmas" Jack is survived by his five children: Richard (Kathy) Anderson, Rochester, MN; John (Robin) Anderson, Forest Lake, MN; Nancy Nowacki, Grand Forks, ND; Donna (Earl) Samuelson, Casselton, ND; Julie (Derek) Bubach, Fargo; 11 grandchildren: Stephanie (Ryan Glasspoole); Jacob (Kassy) ;Lucas (Molly) ; and Meghan (Joel Chapin); Jeff and Kyle; Reed and Taija; Brian, Aaron, and Evan; and two great-grandchildren, Madeline and Alexandra. He was preceded in death by his parents; his wife, Mary Ann, on March 16, 2012; his granddaughter, Heather; his daughter-in-law, Deb Anderson; and his brother, Bob. Our thoughts & prayers, so sorry to hear. You've lost both your mom & dad in such a short time, they are together, no more difficult times, now you treasure all the good memories. Sorry to hear of Jack's passing, will keep you all in our prayers.